Call HD Foundations For Bedford Foundation Repair. We’re Contractors That End Foundation Problems. Our Process Works. Need a Bedford Foundation Repair contractor for residential service? Contact HD Foundations. Our company stops damage using an effective procedure. If you’re located in Bedford, call us about your foundation repair problems. We perform free evaluations in the Mid-Cities and all areas of DFW metroplex. 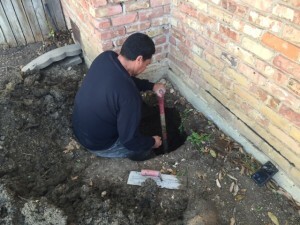 Why HD Foundations For Foundation Repair Bedford? We’re a Better Business Bureau-affiliated company with an outstanding rating. HD knows how to correctly perform house leveling services in expansive North Texas soils. 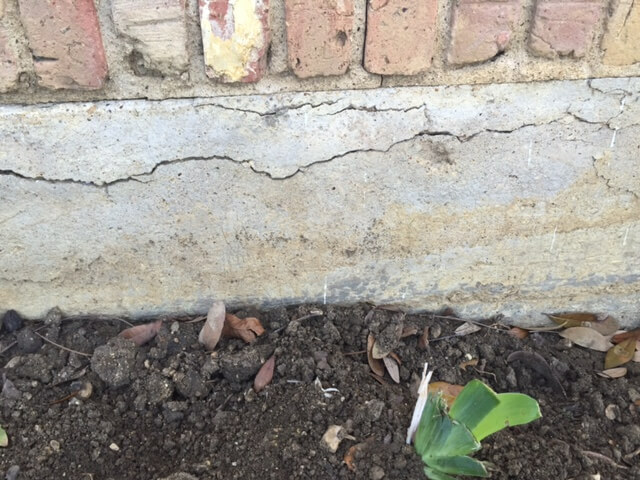 What’s more, we offer a lifetime foundation repair warranty. If you’re concerned about foundation settlement, or suspect your structure is sinking or sloping, call us. In addition to repairing concrete slab foundations in the Bedford area, we service pier and beam houses. Enlisting us to perform cracked foundation repair service stops deterioration. Fractures that are 1/4″ wide can soon become 1/2″ big problems. 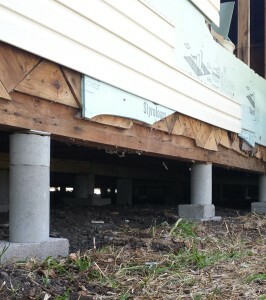 We install and adjust foundation shims and perform crawl space repair on wet pier and beam foundations. This eliminates mold. If sagging floors are an issue, we can help. Our company stops sloping floors and cracking in walls, ceilings, floors and brick exteriors. As part of the procedure, HD Foundations drives 10” long pressed concrete foundation piers or sturdy steel foundation piers into the ground. When working in Bedford, our effective foundation repair process generally involves using concrete supports. These pilings are pushed into the soil to the point of refusal, which is typically about 8-14′ deep in your area. Our process for fixing foundations works very well on homes, apartments, townhouse and more. Stop Foundation Cracks. Contact Us. If you see gaps or other indications of problems, ask us to stop by and inspect your property for structural foundation damage. For a Bedford foundation repair estimate appointment, schedule it online today. Or, just phone us.